This has to be one of the most famous Beatles acetates. Lewisohn states (Chronicles pg. 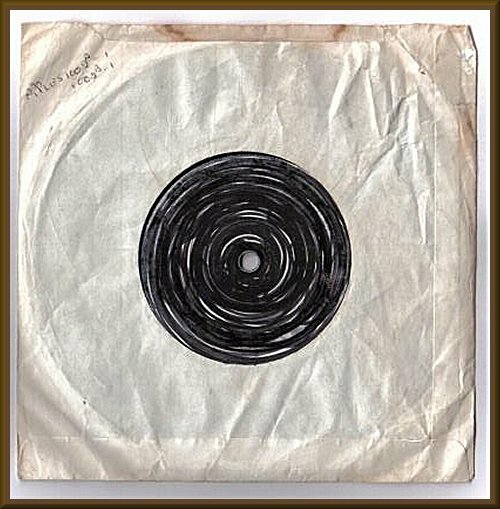 335) that discs were cut in late November - early December 1969. Strangely though, this label style was used predominently through 1968 to mid 1969. But they might have had some left over. 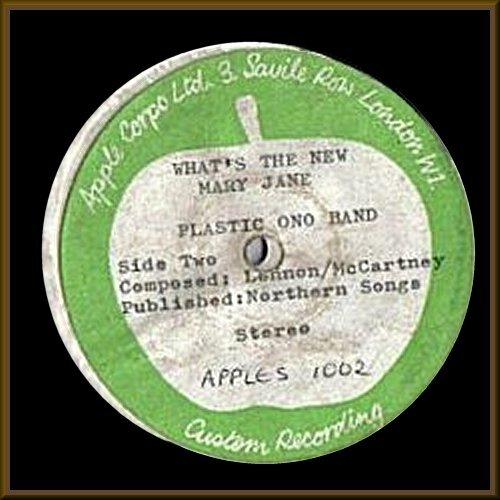 If this is the acetate heard on the CD titled "What A Shame Mary Jane Had A Pain At The Party" Apples 1002, "What's The New Mary Jane" appears to originate from a 1968 mix. Extremely Rare Apples 1002. Unreleased Beatles single. Test pressing on typed Apple Custom Label. 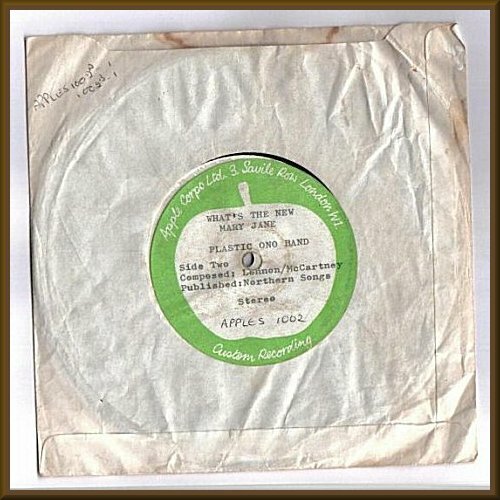 The record and label are in excellent condition with the Apple custom music label loose, as authenticates the type of glue used in the late sixties. 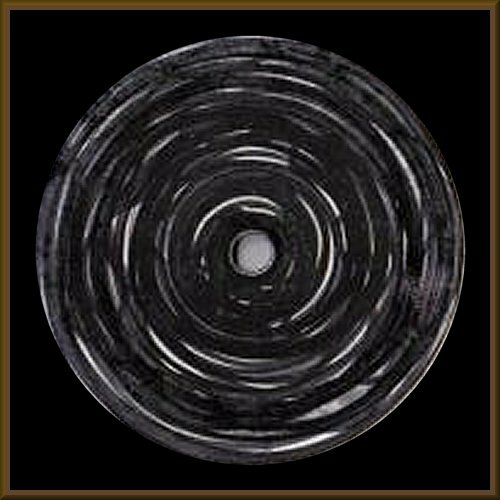 The B side has no label but has a circular black magic marker effect supposedly done by Lennon. The record is presented in original white sleeve with hand written catalogue numbers. In May 1967 The Beatles recorded the rhythm track of "You know my name" with John and Paul adding their vocals some two years later in April 1969.The song was then shelved until Lennon remixed and intended to release as Plastic Ono Band with the unreleased "What's the new Mary Jane". Copies were pressed as APPLES 1002 but the record was never released . You know my name eventually appeared As the B side to "Let it Be" released in March 1970. The latter single carries the original matrix no's for "You know my name" with APPLES 1002 Scratched out.